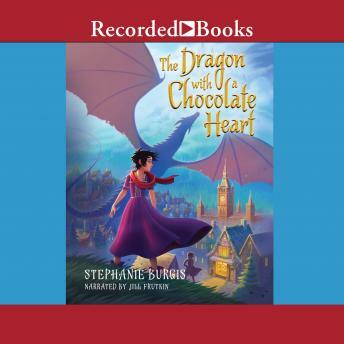 A chocolate-filled, girl-powered fantasy with a heroine who learns what it means to be a strong, fearsome human (and dragon). Aventurine is a brave young dragon ready to explore the world outside of her family's mountain cave . . . if only they'd let her leave it. She's determined to prove herself by capturing the most dangerous prey of all: a human. But when that human tricks her into drinking enchanted hot chocolate, she's transformed into a puny human without any sharp teeth, fire breath, or claws. But she's still the fiercest creature in these mountains-and now she's found her true passion: chocolate. All she has to do is get to the human city to find herself an apprenticeship (whatever that is) in a chocolate house (which sounds delicious), and she'll be conquering new territory in no time . . . won't she? A classic fantasy with terrific girl power, perfect for fans of Shannon Hale and Jessica Day George.